A new season means new fashion trends and we basically want all the things right now. Y'all know we love the sunshine and Spring Fashion screams let the sun shine down on our pale skin. Keep scrolling for a few items you may need to add into your wardrobe this Spring! We are loving the circular shape of this bag! The mesh fabric gives this beauty a beach vibe and we're swooning over it. It’s one of the best ways to make sure you keep your bag free of old receipts and chocolate wrappers! 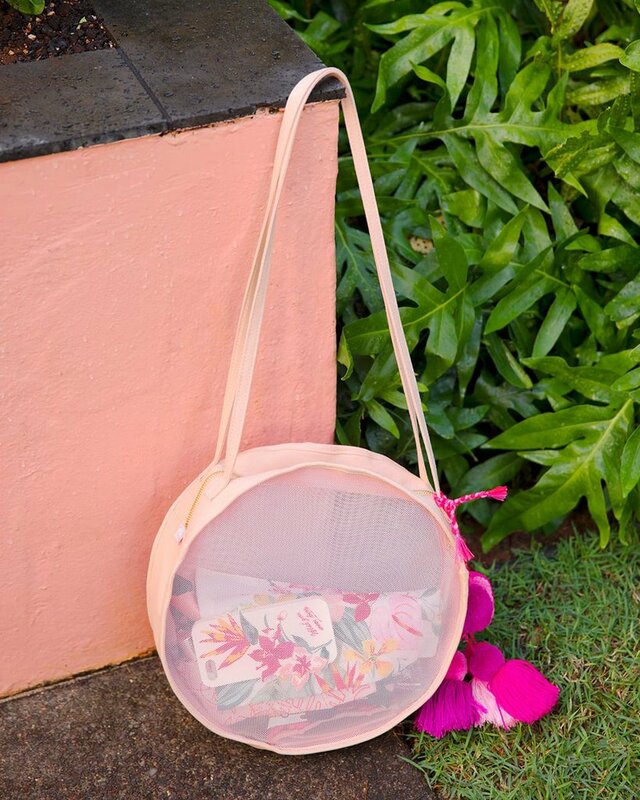 The production of this bag was inspired by a vacay taken by the fabulous founder of Ban.do to the dreamy island of Oahu. We've heard its the year of Matcha. We haven't quite gotten on board with consuming it but we're all about adding it to our wardrobe. These sneakers can easily be worn with any outfit! Yes, we mean any outfit that’s how versatile they are! Sneakers aren’t only to wear with jeans anymore. Throw on your favorite Spring dress or skirt and these comfy sneaks for a more casual look. We’re feeling the stripes y’all! Our favorite thing about this jumpsuit is the vertical stripes are perfect for any body type! Short girls of the world will be looking taller (that’s us) in this jumpsuit. You could easily wear this as a day time outfit or for a night out on the town by adding some black heels and a leather jacket. We’re all about a comfortable pair of trendy pants. The heat comes quick here in California and these wide-leg pants are sure to keep you cool while looking cool ;) We can’t wait to rock these at the Farmer’s Market, Brunch, and even at the office (we’re coming for you casual Friday). 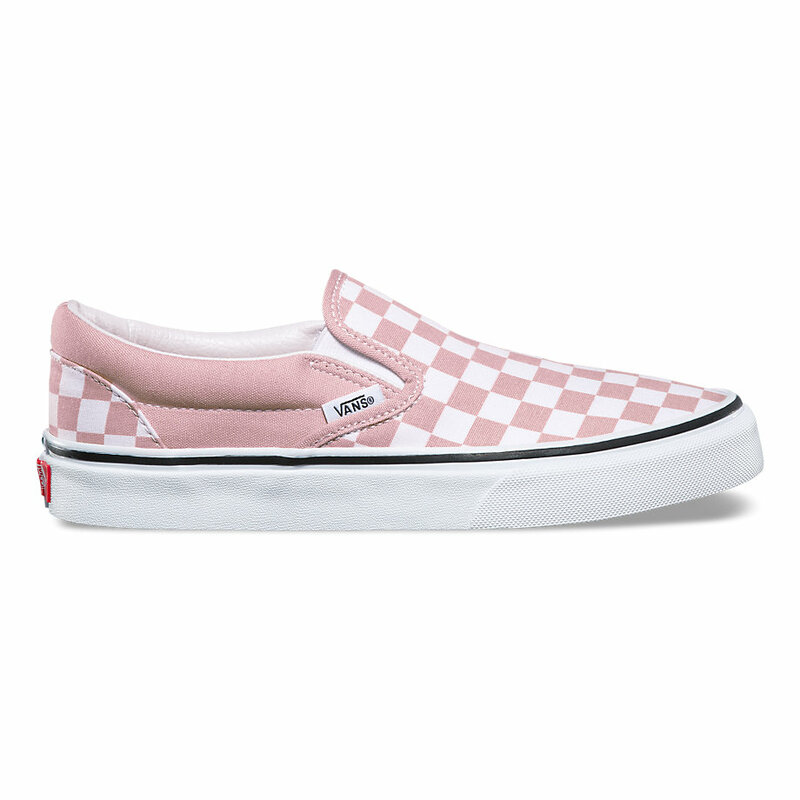 Can we ever have too many Vans? We don’t think so! We’re obsessed with this ‘Think Perfect Pink’ color for Spring. Since adulting is hard and sometimes we don’t even want to tie our shoes, we’ll take any opportunity to make life a little easier! We hope this FRIYAY is treating y’all like the Queens you are. What are some of your favorite Spring fashion trends? We love hearing how y’all are filling your wardrobes! BE INSPIREDOHBI April 05, 2018 Dazey Ambassador, Collaboration, Dazey L.A.